A CRPF jawan, injured in an encounter between security forces and terrorists in Kupwara district of Jammu and Kashmir, succumbed to wounds, officials said on Sunday. "A CRPF jawan succumbed to his injuries sustained yesterday in an encounter in Handwara," officials said. The identity of the jawan has not yet been revealed. 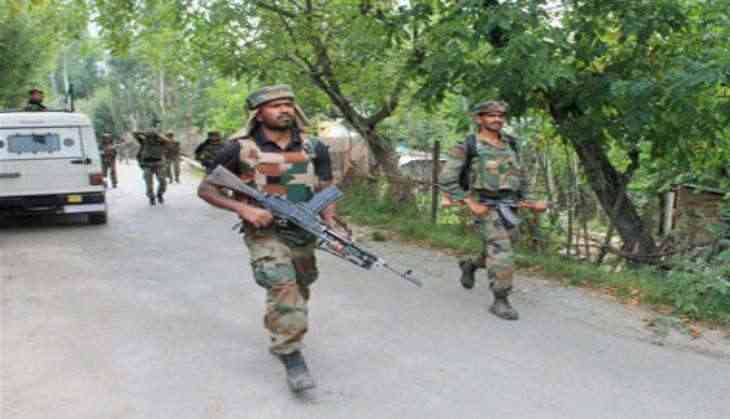 Encounter operations between security forces and terrorists at Babagund village of Langate, Handwara in the district entered the third day on Sunday.Four security personnel, including two policemen and two CRPF jawans, succumbed to their injuries during an encounter with terrorists in Handwara town on Friday. while the two CRPF personnel were identified as Inspector Pintu and Ct Vinod. The wreath-laying ceremony of the two CRPF jawans - Inspector Pintu and Vinod of 92 Battalion of Central Reserve Security Force (CRPF) in Srinagar- was held on Saturday. An encounter between terrorists and the security forces broke out after the terrorists fired indiscriminately at the search party.